There has never been a better chance to land a full set of Moose Racing gear! It’s not tough, either. Simply fill out the annual “Reader Survey” below. Of course, the main goal is to improve our magazine and website, and that’s why we want your input. Once you have accomplished your mission, we will pick one winner who will receive a full head-to-toe Moose Racing gear package. Starting at the top, you get the new F.I. 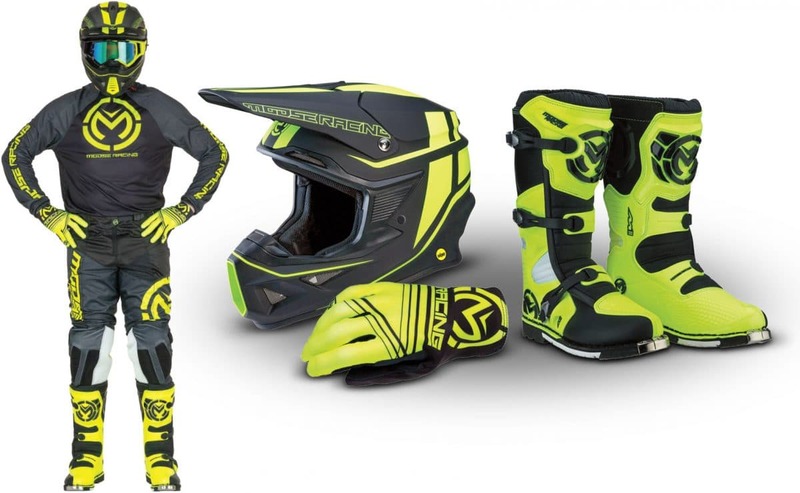 Session helmet, M1 pants, M1 jersey, Moose Racing’s MX2 gloves and the 2019 Moose Racing M1.3 motocross boots. When all is said and done, you’re knocking on the $500 mark, so don’t miss the chance to take home the Moose Racing riding gear package for free! No purchase necessary. Photocopies of this form are acceptable, but only one entry per person is allowed. Survey forms are to be submitted in your own envelope; any forms sent to us in the prepaid subscription envelopes will be disqualified. All entries become the property of Hi-Torque Publications, Inc. None can be returned or acknowledged. Winners will be determined in a random drawing from all entries postmarked no later than June 14, 2019. Entries must be postmarked first-class, one entry per envelope. Contest limited to continental U.S. residents only. De­cision will be final. The odds of winning will be de­termined by the total number of entries received. The contest is subject to local, state and federal laws and is void where prohibited. No substitute prize will be given, nor will cash equivalent be paid. In accepting the prize, the winners grant Hi-Torque Publications, Inc., the right to publicize and promote their photograph and the winning of the award. Employees of Hi-Torque Publications and their families are not eligible for the contest. Drawing will be held August 2, 2019.